Drs. 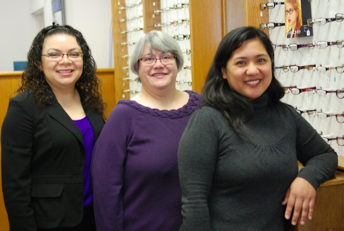 Koga and Jung take the time to explain the results of your eye exam, describe your options and listen to your eye care needs. Because maintaining good eye health is an ongoing partnership, we encourage you to ask questions and share your health information, which could be vital to monitoring, diagnosing and treating potential vision problems. 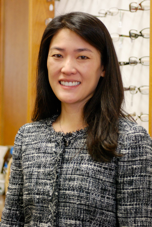 After graduating from the University of California at Berkeley, Dr. Jennifer Jung headed to New York City to obtain her doctorate degree at the SUNY College of Optometry. 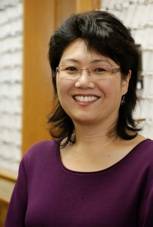 She was accepted into the Contact Lens Residency program at the Southern California College of Optometry where she learned the complexities of fitting specialty contact lenses on patients with various corneal conditions such as keratoconus and pellucid marginal degeneration. Dr. Jung has traveled to Mexico with Student Volunteer Optometric Services to Humanity (SVOSH) to provide humanitarian eye care and has studied with ophthalmologists at the Zhejiang Hospital in Hangzhou, China.